Once you have decided that your site is a good candidate for restoration (i.e., coral transplants have a high chance of long-term success), the next step is to identify the objectives of the restoration program. These objectives should be clearly articulated and agreed upon by all project partners before restoration begins. Defining your objectives can help to clarify why active restoration is being considered over other management activities and explain why you believe the site will not recover naturally and needs further investment and resources. This process can also help identify which restoration methods to use, the costs required, which stakeholders to partner with, and the timeline and scale of the restoration program. Carefully determining and describing specific goals is a critical step of the planning phase since project success or failure cannot be assessed without them. Specifically, objectives should lead to a set of quantitative or measurable targets that objectively evaluate the restoration project. Taking the time to set objectives also helps check for unrealistic ecological outcomes or expectations that could lead the project to fail. Finally, setting realistic objectives and evaluating project success will help support adaptive management. Before the objectives can be finalized, all stakeholders involved should agree on the aims of the restoration project. This can help to build consensus among project partners and may help to avoid potential conflicts that could develop. In addition, assessing potential risks to restoration projects (e.g., from storms or warm temperature events driven by climate change) can help stakeholders to have more realistic expectations of project results and take steps to reduce the risks that such impacts will adversely affect restoration projects. Natural recovery of coral reef ecosystems occurs over many years, because of the slow growth of many corals and the size at which corals become sexually reproductive. 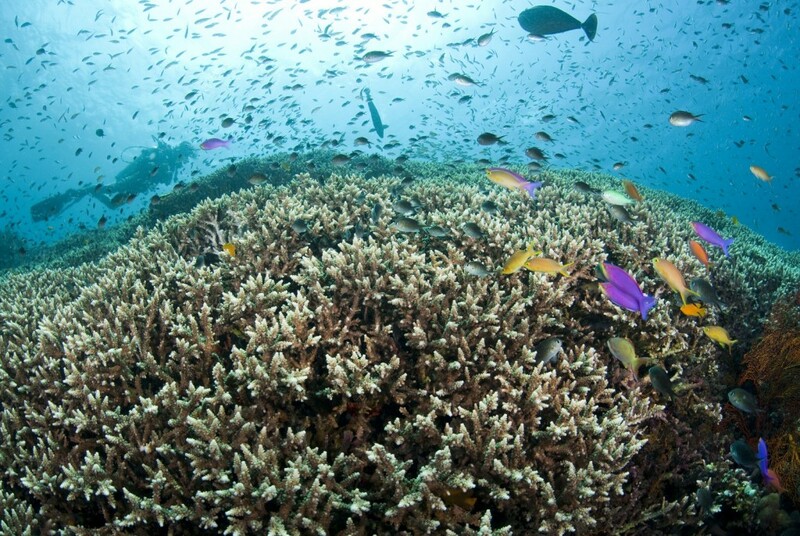 Thus, realistic expectations are needed regarding the length of time it takes corals to recover. It is recommended that final goals of a restoration program occur 5-10 years after transplantation, with intermittent goals occurring in between to assess progress over time and make any necessary adjustments. These measurable and time-bound objectives should be included as part of a monitoring plan.